I made the move to Continental from Michelin Primacy tires. I've had 5 Primacy tires and 3 of them have failed less than halfway through their treadlife warranty. Maybe just bad luck, but my dealer recommended these. I don't know if it's because they are new, different, just plain better or a combination of all but between the price, 1 year road hazard and 70k mile warranty, Continental wins, hands down. They feel great and there is no compromise in grip for the high-mile warranty as with some tires. I haven't driven them in snow, but if they keep with their habit of peak performance, I know they will do just fine. Thanks for the great advice! Great tire for the money in rain and snow. Great all round tire. Best I have found so far for my car with the sport package. While looking and comparing tires online, I came across these Continental PureContact DWS Tires (the DWS stands for Dry-Wet-Snow, and are created in the outer tread of tire-visible-and wear off to let you know what condition tire is still good for). I researched many tires while looking for replacements. I wanted a good, name brand tire with an exceptional warranty. I narrowed my comparison to Michelin Defender Series tires and the Continental PureContact DWS all-season touring series. I even watched YouTube.com videos of people driving with both tires! When all was said and done, I bought these Continental tires....and here is why: (1) 6-year/70,000 mile treadwear warranty is almost unheard of in an all-season tire. (2) Starting treadwear is about 10.5/32nds, the Michelin's were only 8/32nds new. 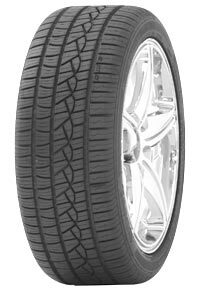 (3) Car and Driver rated these tires as good if not better than others in online comparison video and explained why. (4) I live in Oregon, and with great sipping, these tire perform flawlessly in the rain and wet weather. (5) I wanted a good all-season that could handle rain, but I wanted a slightly stiffer tire sidewall than others but with the lowest road noise (these are more quiet than the Goodyear Assurance Touring All-seasons that I previously had on the car)! I haven't yet tested these tires in snow or hydroplaning, but I'm sure they will perform excellent. I am extremely happy with these tires!!! My wife has the same car as me, but hers is a 1999, and after driving my car with these tires, she wants me to replace the Bridgestones (factory OEM) on hers with these Continental PureContact DWS's;!!! These are amazing tires; quiet-riding and great performance. So far, very pleased. Handling is excellent and road noise is almost nonexistent. The tires provide one of the worst rides I have ever had on a car. The tires will not stay balanced. Good performance in wet conditions. Will not buy these tires again. Tires are fine for dry and wet weather, fairly quiet, decent mileage but but pretty bad in snow and on ice. Won't be putting another set of these on. What a difference. These replaced the factory tires and the difference was immediate. Snow traction is excellent and the drive and feel are outstanding. I feel safe in my car again as I was white knuckling every time it snowed with the OE tires. I've had these on my Acura RDX for three months. They have performed very well in the snow and rain. So far, I really like these tires. The wait time is never too long, always receive excellent service. Incredible tire with long lasting tread wear rating. Drove through a blizzard with extremely bad road conditions in South Dakota and felt confident with the traction. Way better than the Nokian WR2s that I had on before which wore out prematurely.